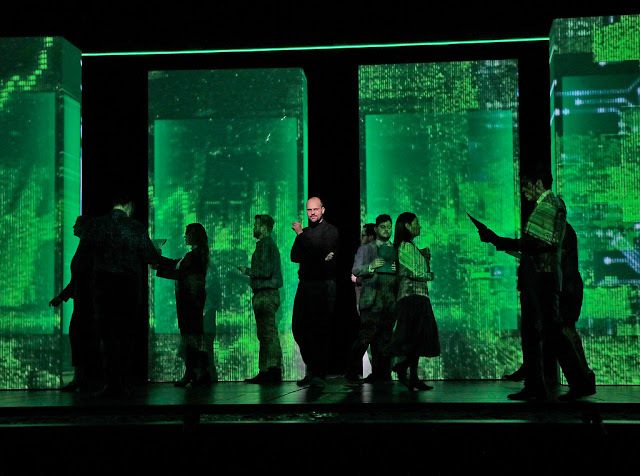 The story of Steve Jobs exists at the intersection of creativity, technology, and human communication—a thematic crossroads that opera can explore unlike any other medium. Opera, after all, can illuminate the interior thoughts of different characters simultaneously through the juxtaposition of individual themes. That makes it an ideal medium to explore a man who revolutionized how we communicate. 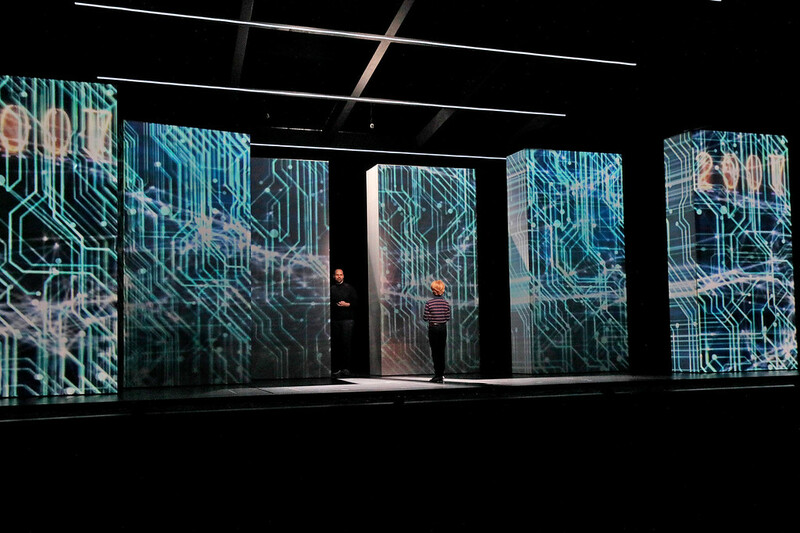 The (R)evolution of Steve Jobs explodes the concept of Wagnerian leitmotifs—the melodies assigned to various characters—into soundworlds. Each character in this opera walks onstage with not only a theme, but an entire sonic identity. As they interact, their musics (sounds) collide, blending almost as if mixed by a DJ. 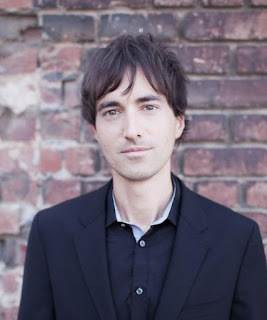 In my symphonic music, I have often looked to exotic forms to pull new sounds out of me, whether in an “energy symphony” or an anthology of mythological creatures. In this opera, that happens on the level of character. The music of Steve Jobs is a quicksilver blend of orchestra and whirring electronica, the latter of which was partly built using samples of Mac gear. I wanted Steve’s soundworld to have an authenticity to it, whether through the use of internal machine sounds (spinning hard drives or key clicks) or external sound effects (charming whizzes and beeps). Gary Rydstrom of Skywalker Sound was an indispensable partner on this front, as he created many Mac sounds during his time at Apple in the 1990s. Accompanying Steve is also an acoustic guitar—an instrument whose predecessors appeared quite often in early opera, but one that has rarely been heard in opera houses since. Jobs loved the guitar, and the energetic sound of a fingerpicked steel-string illuminates the busy inner world of a restless man. Photo © Ken Howard for Santa Fe Opera, 2017. In fact, Jobs’ search for inner peace is the story of the opera—which, in a sentence, is about a man who learns to be human again. The key role in this journey is his wife Laurene, who acted as the electrical “ground” to the positive and negative charges of Jobs. His buzzing inner energy made for a visionary of Jesus-like charisma, but he could quickly become a cold tyrant. Laurene is a soulful and strong woman who convinces Jobs of the importance of true human connection, the person who reminds him that people don’t have one button: they are beautifully complicated. Her slow-moving, oceanic harmonies collide with the frenetic music of Steve, and ultimately she succeeds in slowing down his busy inner world. Another key character is spiritual advisor Kōbun, an important yet overlooked figure who receives stunning treatment by master librettist Mark Campbell. A panoply of Tibetan prayer bowls and Chinese gongs drifts across the electronics, sometimes sounding purely “acoustic,” sometimes imaginatively processed as if in a nirvana-esque limbo. The “mystical bass” trope in opera has a long history (think Sarastro). This opera continues that tradition with the enhanced storytelling of electronic sounds, which eerily blow across the mesmerizing sound of a low bass voice. Finally, we have Steve Wozniak and Chrisann Brennan, important foils both musically and dramatically. Woz is always trailed by a pair of saxophones, whereas Chrisann is accompanied by hummingbird-like flutes. These two characters know Steve from the early days, and through their eyes we witness his stunning transformation. Anchoring the imaginative, non-chronological storyline are numbers—real musical numbers—and a clear-as-crystal through-line: how can you can simplify human communication onto sleek beautiful devices—when people are so messy? This opera travels with Jobs on his journey from hippie idealist to techno mogul and, ultimately, to a deeper understanding of true human connection. The (R)evolution of Steve Jobs plays Feb. 23, 24, 27 and Mar. 2, 6, 8, & 9, 2019 at McCaw Hall. Learn more about this opera by reading our Spotlight Guide.